The details, including final budget authorizations for the GPS program, are scattered throughout a 2,400-page conference report released November 9 to accompany the National Defense Authorization Act for Fiscal Year 2018 (HR 2810, also called the NDAA). With the House and Senate having reached agreement the bill is expected to be signed into law. "The defense authorization has passed every year for the last 54 years without fail before the end of the year," said Mike Tierney, a senior consultant with Jacques and Associates, a consulting firm that specializes in defense, space/intelligence, homeland security and related industries. Moreover, he said, there is likely to be an effort to honor the ill Sen. John McCain, R-Arizona, the chairman of the Senate Armed Services Committee, by putting his name on the bill. "There will be a high motivation to get this this bill passed, so it’s definitely going to become law." The GPS funding decisions tracked the original budget requests from the White House. The conferees agreed to boost spending for the development of Military GPS User Equipment (MGUE) by $10.0 million bumping up the total authorization to $263.9 million. They weren’t, however, being generous. They also added a $10.0 million task (described at the end of this story) so the program is effectively authorized to spend what the administration requested. The Senate authorizing committee had wanted to boost the GPS III development spending by $40.3 million but the conferees dialed it back and approved only the administration’s full request of $243.4 million. They also agreed to fully fund, but not plus up, the White House request for $85.9 million for GPS III procurement and $510.9 million for development of the new GPS ground system. Of course, just because the spending is authorized, doesn’t mean the money actually will be available. Changes could come from the appropriations committees, which have yet to finalize their spending decisions. In fact the government is currently operating on a continuing resolution, which expires December 8. Complicating the entire process is sequestration, which is still the law of the land. The authorizers completely ignored the defense spending cap of $549.0 billion, an amount set to comply with the Budget Control Act of 2011, authorizing instead spending of $634.2 billion. Though the authorizers can’t spin up more money if the appropriations committees decide to stick to the sequestration budget cap they do have a lot of policy clout — and this year they let it rip. Both House and Senate conferees entered negotiations convinced of the need to change how the Department of Defense (DoD) in general, and the Air Force in particular, were managing military space programs. Though their initial approaches were different, lawmakers agreed to immediately put broad budget responsibility in the hands of the Deputy Secretary of Defense and start a process for creating a new organization for space on par with the Army, Navy and Air Force. The deputy secretary is to choose an official to be responsible for prioritizing space budgets across the DoD and is then to devise a plan to "establish a separate military department responsible for national security space activities of the DoD." In case anyone is unclear about the pointedly more limited role of the Air Force in all this, the lawmakers directed that the official chosen to exercise the new budget powers not be the Secretary of the Air Force. They also ordered the deputy secretary to work with a Federally-funded Research and Development Corporation (FFRDC) — an FFRDC that is not affiliated with the Air Force — to devise the roadmap for the new department. In addition the lawmakers eliminated the position of Principal Defense Space Advisor (PDSA), which is supposed to help coordinate space activities across the defense establishment. This job is currently held by the secretary of the Air Force. They also killed the new position of deputy chief of staff of the Air Force for space operations (A-11) which lawmakers described in a summary of the NDAA as "a hastily developed half-measure instituted by the Air Force, which at best only added a box on the organizational chart." "The bill is a clear rebuke of the current space organization within DoD," said Todd Harrison, director of defense budget analysis at the Center for Strategic and International Studies, "and the language and tone of the summary accompanying the bill suggests a lack of confidence in the Air Force leadership." 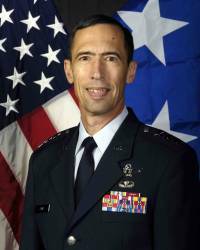 However the roll of Air Force Space Command remains intact, for now, and has even been strengthened in the sense that its commander is now to serve a term of at least six years. The bill also provides the commander with sole authority to "organize, train, and equip personnel and operations of the space forces of the Air Force." Despite all this the changes to the GPS program likely will be "minimal," said Tierney, at least in the immediate future. "It doesn’t do anything to really change the Air Force’s management of that mission," he said. "There’s still budget authority over it. They still have domain authority over the mission. As the department works to implement some of these organizational management changes it may slow some things down, but frankly that’s a mission that’s kind of on track — it has a pretty clear mission path — and I would be surprised if there were any perturbations due to these kind of organizational chart changes." There will be one near term impact on the GPS community: Congress is directing DoD to work with the Departments of Transportation and Homeland Security to demonstrate a backup to the GPS system. They are also to estimate the cost of doing the demonstration and how much can be done with the money already appropriated. Though lawmakers authorized spending up to $10 million to do the demos (there’s that extra task) they do not have the power to appropriate funds — so actually holding the demonstrations is "subject to the availability of appropriations." The report also directs DoD to develop a plan to ensure American military GPS receivers are capable of receiving trusted signals from the European’s Galileo satellite navigation constellation and Japan’s QZSS satellites. 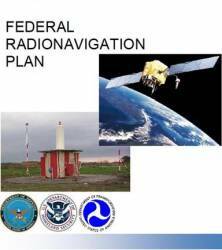 The requirement would be implemented starting with Increment 2 of the Military GPS User Equipment (MGUE) program. Interestingly DoD is also supposed to assess "the feasibility, benefits, and risks of military Global Positioning System user equipment terminals having the capability to receive non-allied positioning, navigation, and timing signals" and "include any other options the Secretary of Defense determines appropriate." Though Congress is only asking for a study, actually incorporating Galileo signals could hinge on discussions within the Federal Communications Commission about granting a waiver allowing Galileo signals to be used for official purposes inside the United States. Though government agencies do not need the FCC’s waiver to act — in fact DoD requested access to Galileo’s Public Regulated Service (PRS) some time ago — the European Commission has made it clear that granting PRS access may be predicated on getting that FCC approval. Efforts to get the waiver have been underway for years generating little more than aggravation. Congressional involvement, however, may change things. Lawmakers are reportedly focused on making changes to the management of military space assets because of increased threats from other space-faring nations — particularly to the GPS satellites. The FCC has been weighing uses for spectrum near that used by GPS and Galileo and concern has been expressed that granting the waiver could complicate a possible rezoning of those near-by frequencies. The FCC answers to Congress, however, and the desire of lawmakers to bolster the resiliency of military space systems could reframe FCC’s deliberations.